India has set itself a target of generating 175 gigawatt (GW) of electricity through renewable sources of energy by 2022. Of this, around 21 GW of renewable capacity was installed between 2012 and 2016, of which 68 per cent was added in the last two and a half years of that period. 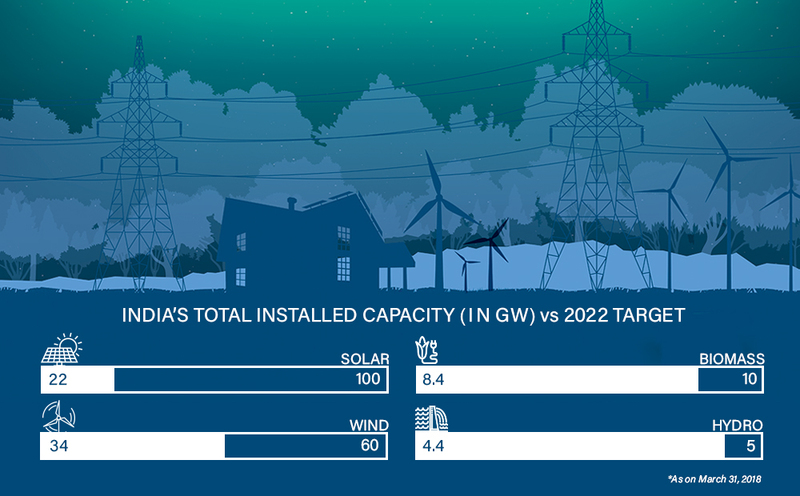 The target of 175 GW is the sum of various targets for electricity generated through solar, wind, hydro and biomass. This infographic shows where India stands on each of these counts.